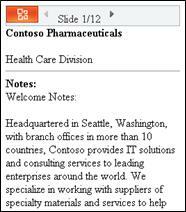 With Mobile Viewers for Microsoft Office you can use your browser-enabled cell phone to read Microsoft PowerPoint, Microsoft Word, and Microsoft Excel documents. The Mobile Viewers for Office allow you access Office documents with your cell phone’s browser. You can catch up on a report or review an important presentation while you’re on the go even if your phone doesn’t have Microsoft Office Mobile 2010 applications. 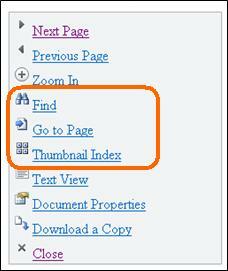 To view Word, Excel, or PowerPoint files, use your phone’s browser to navigate to your SharePoint library. Its web address is the same URL in your phone’s browser as the one displayed in the address bar of your desktop browser. Note: The URL can vary depending on the configuration and presence of web proxies. On a SharePoint server with SMTP service enabled, you can get the proxy-enabled URL of your documents by doing the following: In the library select the check box next to the document, and then in the Documents tab on the ribbon, in the Share & Track group click E-mail a Link to receive an e-mail message that contains the address. Tip: At your computer you can preview the mobile experience by adding ?mobile=1 to the end of your SharePoint library’s URL. If you administer your organization’s SharePoint installation, see Deploy Office Office Web Apps programson the Microsoft TechNet site for information about installing and configuring Office Web Apps programs in SharePoint. Imagine that you are finishing up a report with a colleague before going out of town. While you’re on the commuter train you get a message from your colleague, letting you know the report is finished, with a link to the document. 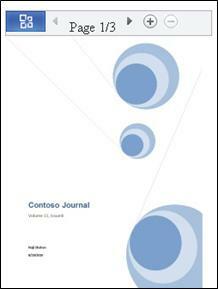 You click the link, and Mobile Viewer for Microsoft Word displays the document in your phone’s browser. Click the Office Button to open a menu of commands. 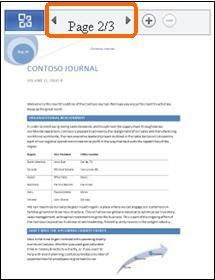 From this menu you can use the Find and Go to Page commands to jump to content you’re interested in, or you can navigate through the document visually by clicking Thumbnail Index. 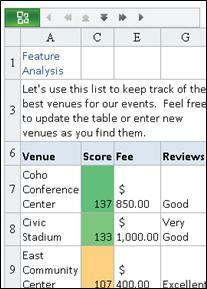 Imagine that your group is planning an event and is keeping track of possible venues in a spreadsheet. You’re returning from vacation, sitting in the airport and you want to check on the rating of a particular venue. You’ve saved the web address of your group’s spreadsheet and you open it in your phone’s browser. The Mobile Viewer for Microsoft Excel displays a small set of rows and columns, and lets you search to find the information you need. 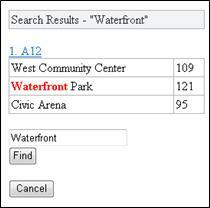 To find the venue you’re interested in, click the Office Button and then click Find. Type part of the venue name and then click Find. Click Freeze Row or Column. Click Freeze Row or Freeze Column. Enter the row or column number that you want to freeze. If you are viewing a workbook with more than one worksheet you can browse from one worksheet to another. Click Go to Sheet, and then click the name of the worksheet you want to view. 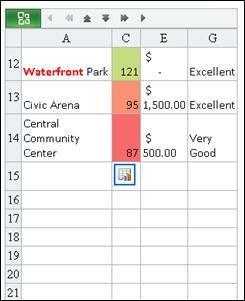 If the worksheet includes a chart Mobile Viewer for Excel provides a link for viewing it. Click View Charts in Current Sheet. Imagine that your bus is stuck in a traffic jam and you are going to be late for a meeting that starts in 5 minutes. On your cell phone you open the e-mail you received from the meeting presenter. 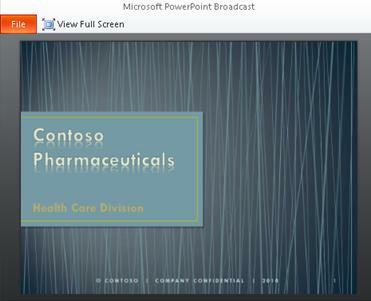 The message contains a link to the presentation broadcast, using the broadcast slideshow feature in Microsoft PowerPoint 2010. 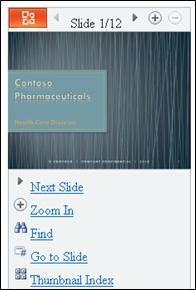 You can now participate in the call and view the current slide in real time as the presentation moves along. 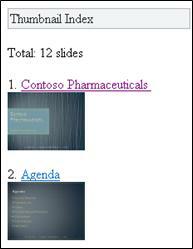 Besides giving you the ability to view presentation broadcasts, Mobile Viewer for Microsoft PowerPoint enables you to view presentations at your own pace by browsing through the slides or finding particular content. Click Next Slide and Previous Slide to go through the slides one by one. Use the Find and Go to Slide commands to jump to content you’re interested in, or navigate through the presentation visually by clicking Thumbnail Index. 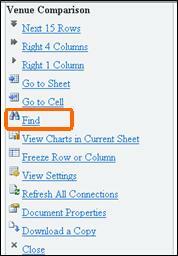 For more information about accessing Office files on mobile devices see the Microsoft Office 2010 blog post, Accessing Office Documents Using Your Phone.